Good alcoholic drinks. Great shopping. Friendly service. Spacious rooms. 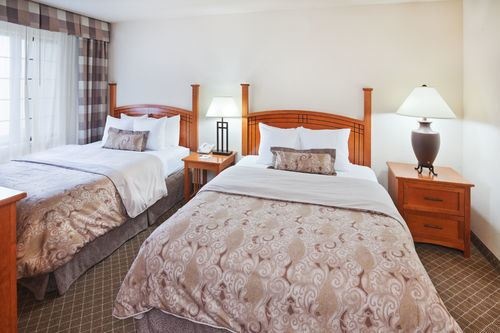 With a stay at Staybridge Suites Woodland Hills in Tulsa (South Tulsa), you'll be within a 15-minute drive of River Spirit Casino and Tulsa Expo Center. Featured amenities include a business center, express check-out, and complimentary newspapers in the lobby. Excellent family hotel. Close to restaurants, bars and shopping areas. Great room. Awesome vibe. Light workout. Nice 24 hr gym. They have a basketball court. Very well maintained. Nice facilities. Quiet environment. With lots of restaurants within walking distance. Foot traffic in front of. Staff was very friendly. Free laundry facilities. Wonderful staff. Free dinners. Free meals. Free laundry facilities. Wonderful hot breakfast. Great continental breakfast. Good breakfast. AC quit. Full size refrigerator. Full kitchen stocked.